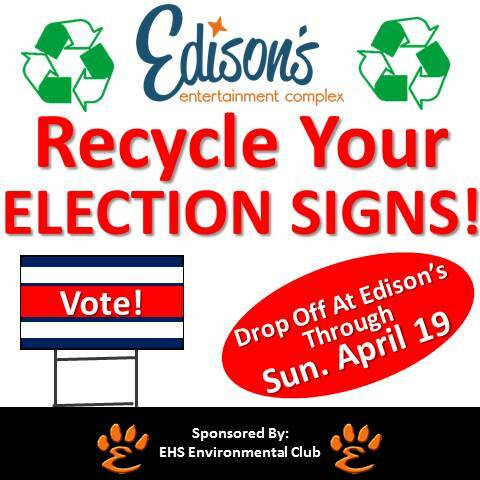 Edison’s will be accepting election signs through Sun. April 19. Help save the environment, and drop yours off during our normal business hours.